A beloved, old Polish carol/lullaby, Lulajze Jezuniu is probably the most famous of all Polish Christmas carols. In Polish with singable English. 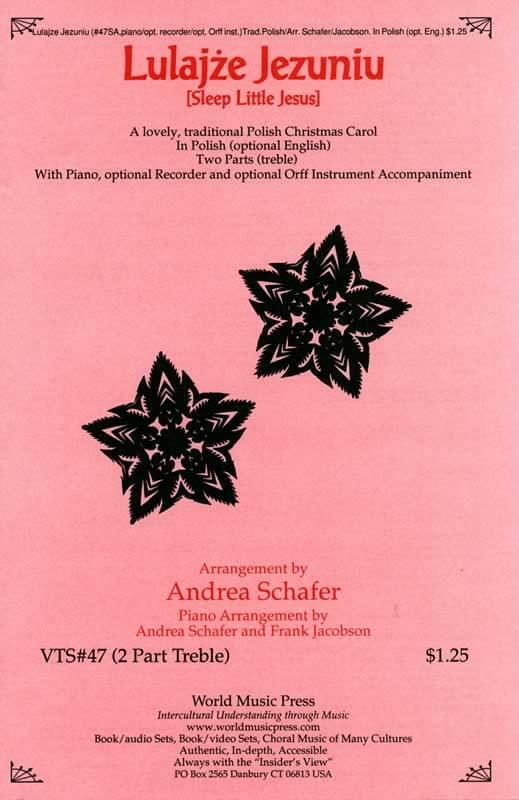 Arranged by Andrea Schafer; SA + piano; optional Orff instrument accompaniment; 2-part treble.